Here’s a great project idea for art teachers looking for something winter themed but not necessarily Christmas themed to do with kids. Or it would be great fun to do with your own kid at home. Fireflies and Mudpies has all the details and a printable for making your own paper plate snowglobe craft, which is made with clear plastic plates and a bit of foam craft snow. 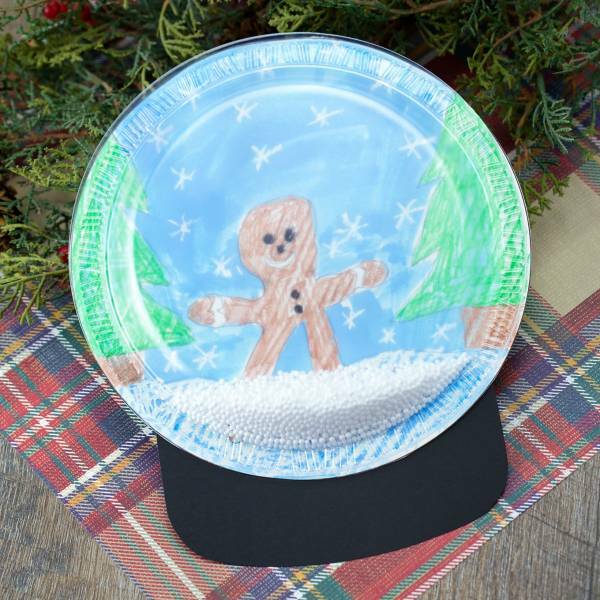 When I first saw this I thought it would be cool to do with a disposable pie plate that has a clear plastic lid, but you would have to make your own template to make one that size. Either way, it’s a super cute project where kids get to draw, color, paint and craft. I’d kind of like to make one, too.